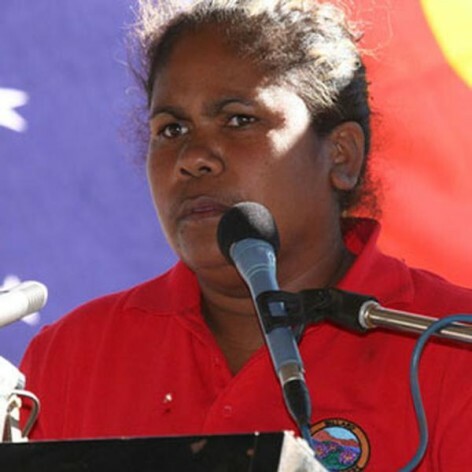 Mary Victor O&apos;Reeri lives and works in the remote north-west Kimberley region of Western Australia. As a traditional owner, educator, UN delegate, communicator and natural entrepreneur, Mary works with her people to transform relationships with governments, NGOs, businesses and individuals. In 2009, Mary co-created the “Blank Page Summit on Suicide” a unique collaborative gathering held on her traditional Nyul Nyul homelands. The Summit brought together 150 influential Australians from across the country to unite in breakthrough thinking about the preventable tragedy of suicide. In July 2010 Mary will again co-host the Blank Page Summit Hard Yarn based on the theme that Closing the gap means no more muckin&apos; around.